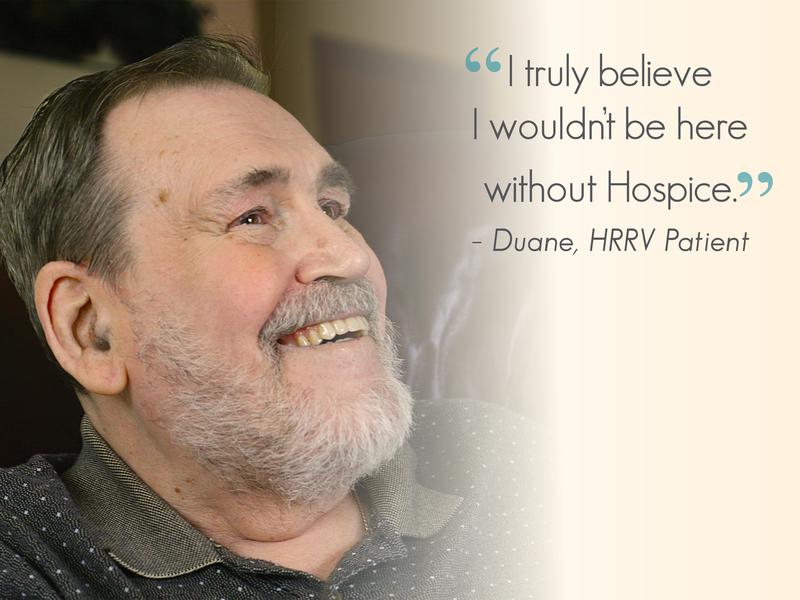 For 365 days, Duane, Hospice of the Red River Valley patient, has received hospice care in his home, with his beloved wife, JoAnn, by his side. Each day is an adventure that Duane has met with true grit, gratitude and a little humor. 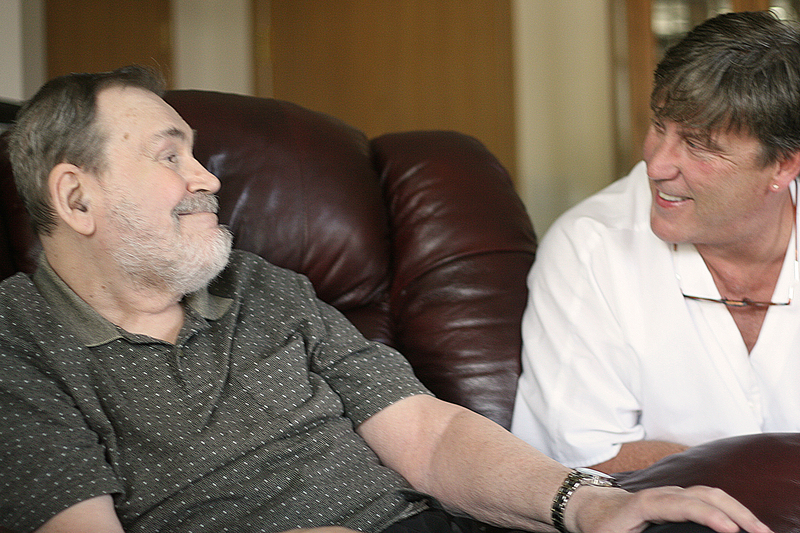 Duane with Hospice CNA, Jerry. 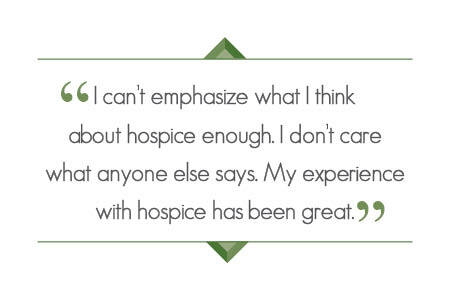 Duane is most grateful for the attentive care provided by his hospice certified nursing assistant (CNA), Jerry. 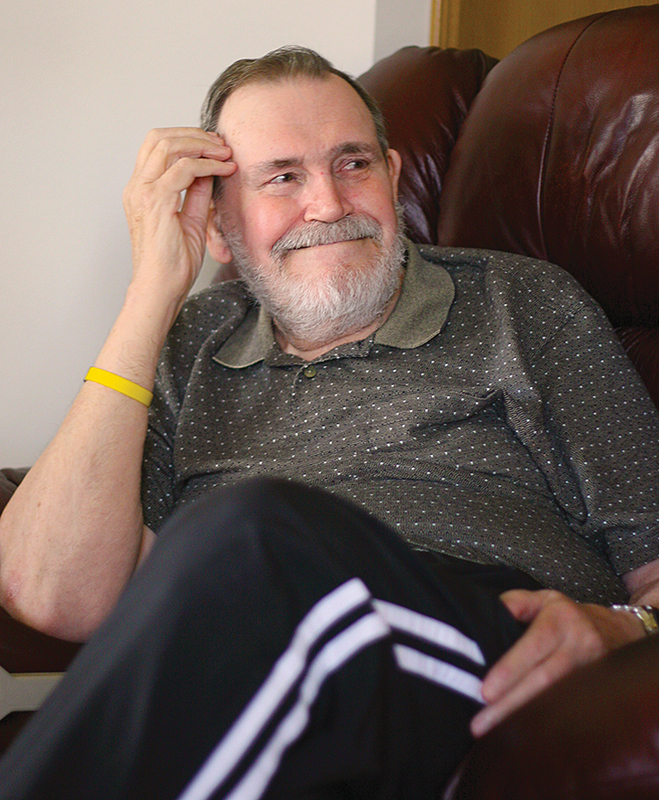 “When Jerry started coming to the house, I started receiving showers consistently and more trips to the bathroom, but most importantly, he helped me regain my strength,” Duane said. “We’ve walked up and down these halls, many times.” With each careful stride of the 162-step journey, Duane and Jerry grow closer, talking about movies, their mutual affinity for John Wayne and life. “It’s been a great relationship with Jerry; we’ve had a lot of good times,” Duane explained. “He’s been as nice to me as any person can be. There’s a lot of bologna passed between us.” “I think that has added a lot to my recovery, because I don’t even think about my heart problems when we’re visiting,” he said.